Thanks to Joe for the tip on a new book, Holy Ignorance, reviewed here. Strictly speaking, a heretic is one who causes divisions in the church by teaching an aberrant doctrine in an attempt to draw followers after himself. A person who privately holds some views or entertains discussions on issue not considered orthodox is not a heretic until he becomes divisive about it. What is heresy? One definition would be a doctrine that has been condemned by a council. The Fifth Ecumenical Council is often thought to be a condemnation of universalism, because it condemns the teachings of Origen by name. But the specific issue was Origen’s belief in the preexistence of souls; it was his belief that these souls would be restored to their original state that was condemned by the council. Historians say this statement was specifically directed toward those who teach “double predestination,” i.e., the belief that some have been ordained by God to reject his grace. They of course did not condemn Augustine by name even though many believed this was implied by his teachings. Otherwise the council of Orange fully supported Augustine against Pelagius. Still, by the standard of church councils, we have to admit that universalism per se has never been condemned as heresy, but the doctrine that often passes by the name of Reformed theology has been given the official anathema. If we don’t like the way he sings, who’s gonna cast the first stone? I suspect that Rob Bell’s new book will prove more subtle than MacArthur’s. Maybe it doesn’t take much of a prophet to say that. In the end of time God will give people what they love most–sharing his presence or eternal separation from him. In this way of thinking, it is possible that “love wins” could mean hell is an option for those who prefer to live without God. What these ways of thinking about hell have in common is that they see it not as an arbitrary punishment but as the consequence of God giving humans free choice. In Dante’s vision of Hell the choice of sin and the punishment of sin are the same thing. God loves us enough to let us have our choices and to let our choices be meaningful. I think something like this is what Rob Bell will present as one possible option of what hell could mean. I think he may well present as another possible option the real possibility that love really will win. God will find a way to reach every human being with his love and bring even the most hardened sinner to repentance, reconciliation, and redemption. God will not conquer evil by crushing it under-foot-any god of man’s idea could do that-but by conquest of heart over heart, of life over life, of life over death, of love over all. I believe that no hell will be lacking which would help the just mercy of God to redeem his children (more here). The great biblical commentator William Barclay agreed with his fellow Scotsman. He cites the Greek fathers Origen and Gregory of Nyssa, and refers to several passages in the New Testament (more here). I think Rob will say there are a variety of options for understanding the final outcome that are compatible with the teaching of Scripture and the character of God. I think he will say none of us can know for certain and humility behooves us. What we do know is that we can trust God to have a solution that is consistent with his wisdom, power, and love. If there is an eternity, and I believe there is, and if there is a judgment, and I believe there is, then let us keep the immensity and gravity of it all in mind and refrain from flippancy, gloating, triumphalism — and let it reduce us to sobriety and humility and prayer (Jesus Creed). Are You a Slave to Jesus? 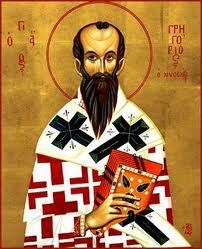 Christians have always understood the paradox: in the service of God is perfect freedom. 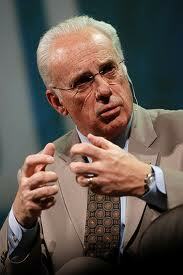 John MacArthur’s sermon and promo for his book Slave doesn’t seem to appreciate subtleties like paradox. He recognizes that the δοῦλος – κύριος metaphor is a metaphor; but he doesn’t seem to recognize that it is an inadequate ultimately judged inadequate by Jesus and Paul. A twenty-minute check in the library confirmed that MacArthurs conclusions after three years of intensive study are basically valid–on the literal level and with one important exception. Two standard Greek reference sources, Kittle’s famous Theological Dictionary and Bauer’s lexicon as edited by Danker in the third edition. Both agree that δοῦλος basically means “slave.” Both of these sources also agree that in Greek culture the whole idea of slavery was degrading, whereas in the middle eastern world of great empires, the kings ministers were called “slaves” or “servants.” In that context, it was considered an honor to be the δοῦλος of a great king. It is in this sense that Paul applies the term δοῦλος to himself and other members of the apostolic team; other Christians he normally calls brothers and sisters. The expression paradoxically implies humility and service on one hand, but honor and authority on the other hand. I no longer call you servants . . . Instead, I have called you my friends (John 15:15). In the epistle to the Galatians, Paul compares the relationship slaves to heirs. The whole point of Galatians is to reject the imagery of slavery in favor of the mature and free relationship that adult children have with their father. Galatians is the magna charta of Christian liberty and the manifesto of the Reformation. The Jerusalem that is above is free, and she is our mother . . . we are not children of the slave woman, but of the free woman (Galatians 4:26,31). In John MacArthur’s sermon on the subject of his new book, he announced an amazing discovery: English translators of the Bible, going back to the authors of the King James Version have perpetrated a massive fraud on the reading public. The Greek word δοῦλος (doulos) means slave, not servant. Jesus doesn’t have servants, he only has slaves. We, as slaves of Jesus have no rights at all. I am teaching a class on “Interpretation” this semester. The class deals with the proper linguistic, historical, and theological interpretation of the Bible. We use a textbook that is well accepted by evangelical Christians: Grasping God’s Word by J. Scott Duvall and J. Daniel Hays (Zondervan). Here are three points from the book, which could be illustrated in any textbook on the subject. 2. We have to understand words and passages in the Bible against their historical, cultural, and social context. We have to take a journey back into the ancient and strange world of the Bible and understand the text in its own world before we can understand its meaning for us. 3. We have to read the Bible theologically, in light of the bigger picture of what it says about God and his ways and purposes and our relationship to God. In particular, when understanding metaphorical language we have to compare various metaphors to get a total picture. I’m going to “review” a couple books I haven’t read yet–or rather I’m going to comment on the main idea of a couple of new books, based on the authors’ presentations elsewhere of the contents of their books. I heard a sermon by John MacArthur last week on the radio driving home after a visit with the grandchildren on the theme of his new book Slave; I assume his own words are a fair representation of his views and a fair summary of the conclusions he reached in his book. If you missed the sermon last week, you can see a You Tube promo for the book by MacArthur himself. I tell my students, if they are going to review a book they should actually read it. So I won’t call this a review. I will call it a presentation of my on thoughts on the same topic. I am going to try something even bolder than reviewing a book without actually reading it–I’m going to predict what the author’s conclusion is. But right now I have to go teach hermeneutics to my students.